Here you will find the Large Luxury Car sales leaders in Canada for June 2018. Each month we compile the Large Luxury car sales data and reports for North American markets and analyze it to create the best selling list below. It was a strong first half of 2018 in the large luxury car segment, with many of the nameplates in our sales breakdown posting healthy growth over the last six months. 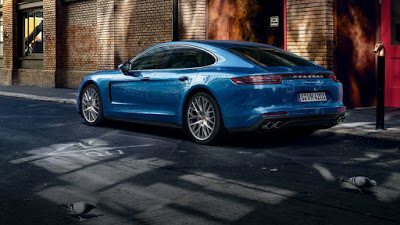 Overall sales are up by 20.7% after the first six months of the year, with the top-three models from Tesla, Mercedes-Benz and Porsche making significant headway in that time. This is a tech-heavy sector, and the Jaguar XJ, which was originally launched back in 2009, has fallen out of favour in this market in recent months with spend going to the hi-tech, newer models on offer for the large luxury limo buyer instead. Speaking of which, the fifth-generation Lexus LS, new for model year 2018 and including hybrid options in its lineup, has had its best first half of a year since 2013.